Jasco Remodeling is a FULL SERVICE General Residential and Commercial Contractor. Your home Is not just walls and a roof to protect you from the elements. A home is the place where memories are made, families grow and gather together, and dreams are created. We pride ourselves on making your home beautiful and comfortable, a place you want to be and enjoy. A good design is just as important as the quality of workmanship and materials utilized to build the design. Your project should be as unique and individual as you. You will never be treated and just another client. We value and respect your ideas. We work with you and offer ideas to create a space BETTER than you thought was possible. 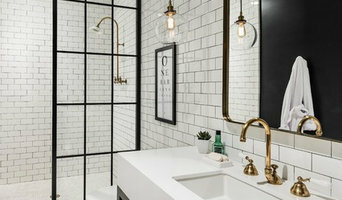 Jasco Remodeling continues to learn about new materials and building techniques to keep ahead of industry standards. We will not make promises we cannot deliver. Every project whether large or small is supervised by the owner. Our reputation and quality control is of the utmost importance. Your 100% satisfaction is our only goal. 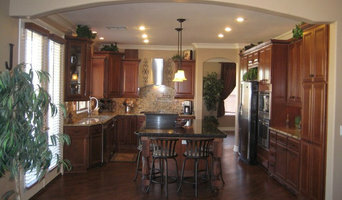 Arizona Elite Builders is a family owned custom home builder and remodel company. The owners of Arizona Elite Builders have over 25 years of combined construction experience. Providing Arizona’s residence with a company they can trust to provide high quality construction services at an affordable price. The owners of Arizona Elite Builders attribute their quick success to their attention to detail, desire to provide excellent customers service and a staff that really enjoys what they do. Capstone Custom Builders was founded on the principles of integrity and progression. We believe that the home building and remodeling process should be enjoyable, you've accomplished much, let us help you knock one more item off your bucket list, your dream home. Ok, Let's build this. We may not be the best contractor for you. Our value is most appreciated by homeowners with a nagging challenge with their home that they need creative help to overcome. Many of our clients have remodeled with us multiple times and see us as their trusted advisor. They own unique homes and value high-quality design, materials, and construction. Our first-time clients share the following challenges that we helped them overcome. See if one or more of them may fit your situation. 1) They love their homes and don't want to move, even though something about their home has made them feel frustrated or even self-conscious when they entertain. 2) They are tired of being aggravated by a poorly designed kitchen. It might be too cramped to function correctly, or isolated from the fun while entertaining. 3) They are afraid someone is going to take a fall in their sunken living room or trip climbing into their awkward shower. 4) They are fed-up with their master bathrooms cramped, builder-grade shower and over-sized tub that they never use. 5) They are tired of putting off having a spacious master bedroom with a luxurious private bathroom. The last thing our clients want is to have a contractor that doesn't show up, won't take the time to do things right, always leaves a mess, can't stick to the original budget, and has poor listening or comprehension skills. Because they are busy professionals, they can’t take the time to plan and supervise things themselves and know they need professional help and results. They prefer to have one point of contact to eliminate their following concerns; 1) Make sure that the design choices are correct 2) Eliminate budget surprises 3) Take care of obtaining City & HOA approvals 4) Ensure construction timeliness and quality Does something about your home have you feeling like we are describing your situation? If so, what could it hurt to call us to question us about how we can help you? 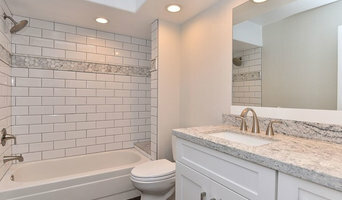 Image Home Improvement, Inc. specialize in room additions, kitchen and bath remodels. We are committed to providing the highest quality construction and Phoenix home remodeling services for the Valley of the Sun. 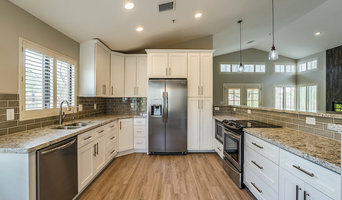 We understand that you want prompt service with quality workmanship on which you can depend when thinking about your repair or remodeling needs. We have been providing this to home and business owners throughout the valley since 1991. We do not not look at your Phoenix home remodeling idea as a one-time project. We look to establish a long-term friendship with you and your family, friends and business associates. It is our goal to make the time spent working on your project the least inconvenient for you. We will provide you with an estimate that you can understand. It is our desire to explain all options to you to enable you to make an intelligent decision regarding your project. A work timetable is planned out specifically for you informing you of how and when your work is to be completed. So, in the coming years when you tell everyone about your project, we want you to remember the experience as a pleasurable one. Image Home Improvement, Inc. is ready to make your project memorable! Fratantoni Design is a professional, highly experienced, fully staffed, and licensed Architecture Firm. Designing for distinguished luminaries and private clientele nationally and internationally is what keeps our creativity fresh and cutting edge! Our White Glove, first-class concierge service will leave you feeling taken care of all the way through! With over 30 years of experience, we have the skill to achieve any style home anywhere in the world! Enjoy our extensive portfolio, rich with diverse style and detail, creating a timeless elegance known as The Fratantoni Experience. Timberwood Construction Inc. is Arizona's leading Framing and Remodeling company. With 11 years of experience and expertise, we look forward to building out your custom projects, helping you with your construction needs and making your wish list come to life!